· An exchange student going to study at Ritsumeikan Asia Pacific University in Japan, working towards a possible future career in Japan. · Another exchange student accepted into a Japanese Language and Culture program with a Chinese minor working towards a career as a translator and interpreter.
. An economics major who is focused on the variety of present-day issues and links that tie East Asian countries to the U.S.
· A grad student who will be doing a 2-week field research in Japan focused on Japan-China relations.
. A grad student with a proposed program of study at the Ambassador Exchange Program in Fukuoka at Seinan Gakuin University.
. A university student hoping to attend Temple University Japan and dual-majoring in Japanese and Communications Studies, and then continuing their education in Korean and Mandarin Chinese studies. As you can see, we are overwhelmed with the ambition and accomplishments of our applicants this year, but none more so than this year’s scholarship winner, Jonathan Barley-Alexander. Jonathan is currently a student at Gettysburg College where he plays football, works as a food service worker and research assistant, and studies Japanese and International affairs. His passion is International relations and breaking the barrier between countries, whether it is through language, education, or cultural exchange. He hopes to have a career in the government and ultimately create a multilingual school which operates as a catalyst between borders by implementing international education and encouraging multilingual studies by which cultivates high standards of scholastic excellence and expands world views at every stage of educational development. Again, we found this scholarship decision the hardest one yet. With so many worthy applicants with admirable accomplishments and aspirations, it was extremely difficult to choose just one. But the winner’s application proved to be the finest example of the ideals and goals of hashi.org. 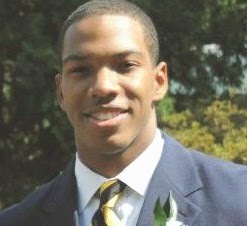 While there were many worthy submissions, Hashi.org is proud to award a $1,000 travel scholarship to Jonathan Barley-Alexander! Congratulations!